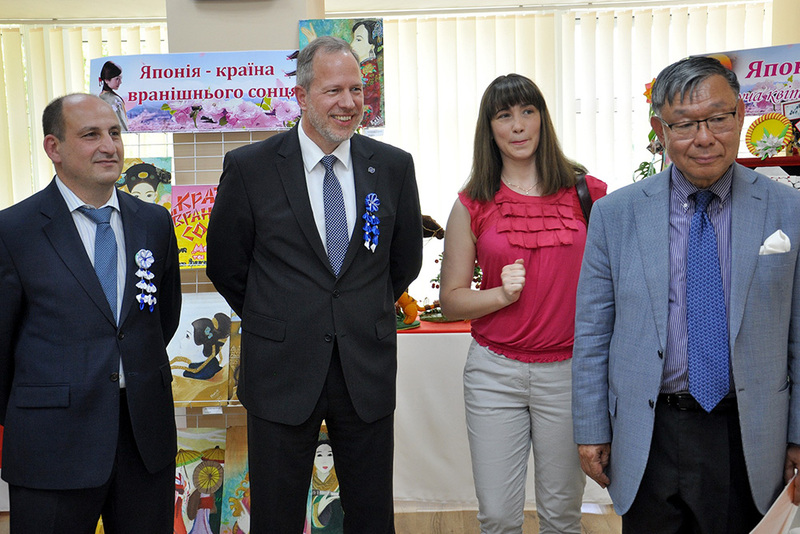 Kramatorsk – Over 40,000 residents of Ukraine’s conflict-affected Donbas region soon will benefit from nine community centres – libraries and cultural gathering spots – renovated by IOM, the UN Migration Agency, with funding from the Government of Japan. According to the Ministry of Social Policy of Ukraine, approximately 800,000 out of the country’s 1.5 million officially registered internally displaced persons (IDPs) reside in the Government-controlled area of the Donetsk and Luhansk regions. “The significant increase in the number of residents brings additional burden to social infrastructure and may lead to tensions among community members,” explained Thomas Lothar Weiss, IOM Ukraine Chief of Mission. In order to support the integration of IDPs, and promote communication and dialogue between groups within host communities, IOM, with funding from the Government of Japan, has been supporting local-driven initiatives in 29 Donbas communities and renovating public spaces where displaced persons and locals, including people with disabilities, can interact. One of the locations IOM works in is Toretsk, a mining community in Donetsk Region, with over 70,000 inhabitants, about 10 per cent of whom are IDPs. The town is less than 10 kilometres from the contact line and the non-government controlled area. In 2014, during the first months of the conflict, Toretsk suffered heavy shelling. The IDPs, mainly from nearby Horlivka, began arriving after July 2014, when the Ukrainian Government regained control over the town. The local library has been serving as an information centre with free Internet and as a place where IDPs seek guidance and support. Now, after the refurbishment done by IOM, the old library was transformed completely, into an accessible open space for social cohesion activities organized by the local initiative group. Fifteen initiative group members, half of them locals and the other half IDPs, have already organized over 50 master classes, concerts, and open-air festivals over the last six months. 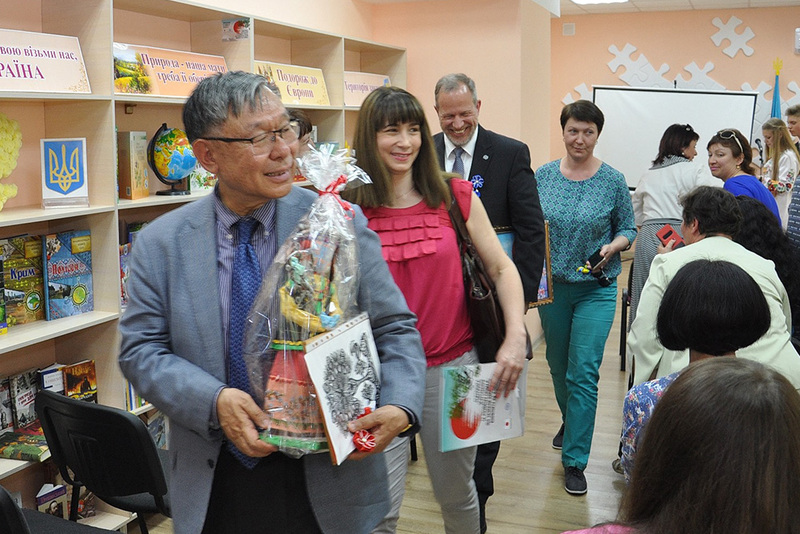 The renovated library in Toretsk, as well as the one in Popasna, Luhansk Region, were recently been opened by the Ambassador of Japan in Ukraine, Shigeki Sumi, and Weiss. A sakura tree-planting ceremony held in the main square of the Bakhmut city was the highlight of the Ambassador’s visit to Ukraine’s east.